Look at the station router to find where you are and where you’d like to go. 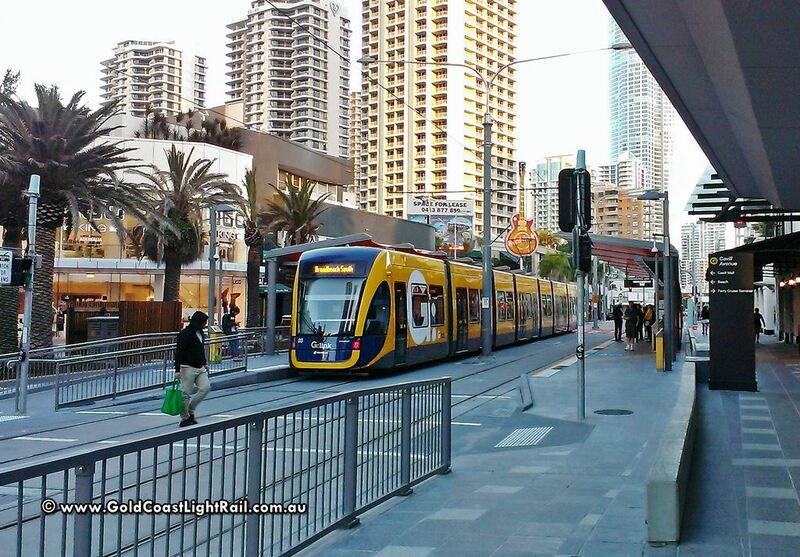 One of the new Gold Coast Light Rail Tram – G:Link. 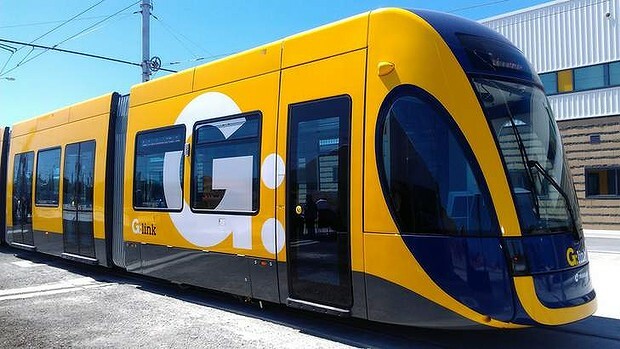 The Gold Coast got it’s first peek on the new Light Rail Trams today during today’s launch of the brand G:Link and the Trams. Mayor Tom Tate, and other dignitaries, milled around a lever which after a countdown, would release the new light rail tram to the waiting media. The new tram will be puts through it paces shortly in October 2014 to train rail staff and familiarise everyone with the huge change to the Gold Coast landscape the new light rail will make. June 2014 is when the light rail will officially open to the public.